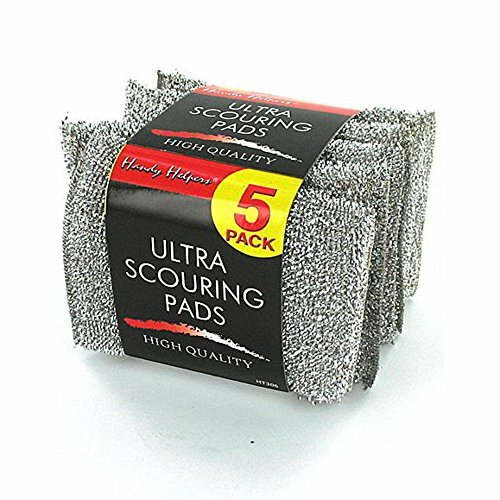 This set of 5 ultra scouring pads are great for tough jobs in the kitchen. Will help you clean up any stuck-on foods. Great for scrubbing the stove too! Item comes carded and each pad is 4 3/4" x 3 1/2".